The suave, sophisticated and impeccably attired spies are back in “Kingsman: The Golden Circle” and the latest character posters show just that. Each poster features a catchy one-liner description of the featured character and an ender that the upcoming film is "a proper spy movie". Knowing how awesome the first film was, there's a high chance that the sequel will be "proper" indeed. The film features returning cast members Colin Firth, Taron Egerton, Mark Strong, Hannah Alstrőm, Sophie Cookson and joined by new cast that includes Jeff Bridges, Halle Berry, Channing Tatum, Julianne Moore and Elton John. “Kingsman: The Golden Circle” raises the stakes where the spy agency now suffers from a devastating attack that almost killed all of its members. 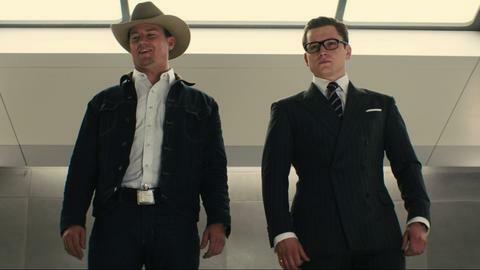 After the attack, the surviving members of the Kingsman organization forms an alliance with their United States counterpart, the Statesman to stop a common enemy. The movie is set to open September 20 in Philippine cinemas nationwide from 20th Century Fox to be distributed by Warner Bros.